British Designers - UK Best Sellers. Designed by women, for women. Features detailed side panelling for a slimming and classy look. High-stretch fabric is super comfortable. Imported from the UK - we only use the best quality fabric. Perfect for work or leisure. Available in Short, Regular or Long leg. Please use TLC Size Guide. You can check our reviews on Amazon.co.uk! 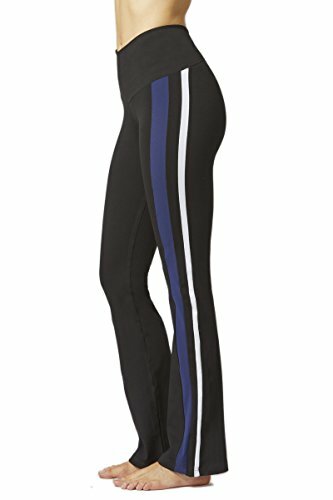 Fitted bootcut gym pant gorgeous side panel detailing to both legs. A super flatting option for those looking for some extra functionality. Exclusive super-stretch fabric will make you feel supported and comfortable.